I attended the 10th BCS Women Lovelace Colloquium at the Aberystwyth University, Wales. This is an annual one-day conference for women students of Computing and related subjects. Alongside keynote speeches and talks, this conference also includes poster presentations from all year undergraduates and master students. Students were encouraged to submit an abstract for their poster in any topic related to computing. The poster finalists not only got the opportunity to present their poster at the conference but also received travel scholarships to attend the event. I was really pleased to become a finalist for the poster presentation and presented my third-year project work which is about ‘Embedded systems reliability’ supervised by Dr Luciano Ost. I networked with other poster presenters from different universities and was thrilled to know about their exciting project works. The day was jam-packed with talks and speeches. The keynote speaker was Dr. Sue Black OBE and the founder of BCS Women. She talked about her life and career to date and motivated us to follow our dreams. Dr. Sue Black is not only a computer scientist and academic but also a social entrepreneur. Dr. Black played the pivotal role to save Bletchley Park, the site for British code breakers during World War II, through her Saving Bletchley Park campaign. 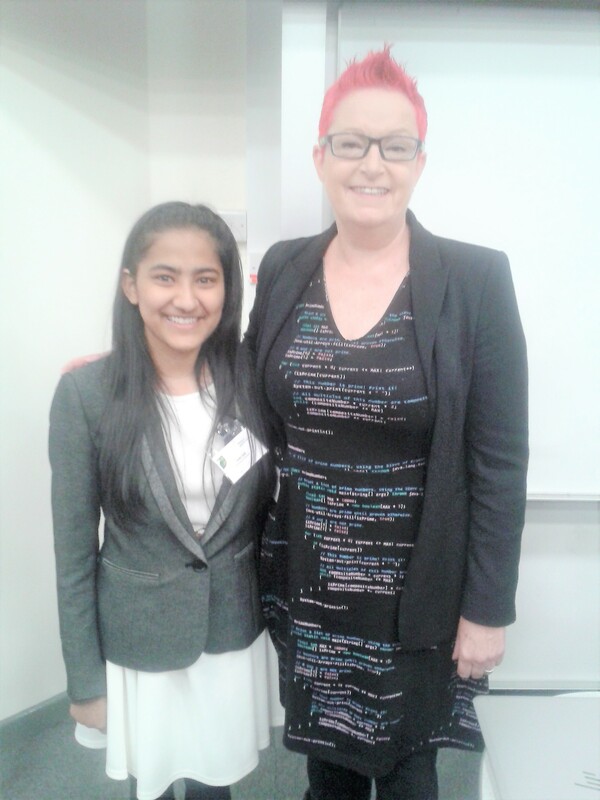 After the talk, I got the opportunity to speak to Dr. Black, she is such an inspiring person and yet very humble and friendly. During the conversation with Dr. Black, I came to know that she knows my tutor, Dr. Neil Walkinshaw, through various research work. What a coincidence!! !